A strain for the psilocybe enthusiast. Costa Rica , the “Gold Coast”, is birthplace to this strain. If you’ve ever been to Central America then you’re familiar with what magic can be found there…and in their fields. This strain produces smaller fruits on average, than our other strains, however it produces abundant clusters, more often producing larger second flushes (with larger fruits), which vary in appearance from the first flush. The mushrooms have a strong blueing reaction and are considered potently active. A very quick colonizer of both substrate and casing. This strain produces occasional fruits whose characteristics sometimes resemble Psilocybe semilanceata (Liberty Caps) or P. mexicana. Fruits well on grain and pasteurised or sterilized substrates (i.e.compost ,straw, etc.). Not as BRF-friendly as others, although very willing to fruit on it. Overall yields of this strain are typically lower than others, however Costa Rica makes up in aesthetics and quite possibly- potency. (instruction & sterile syringe included). 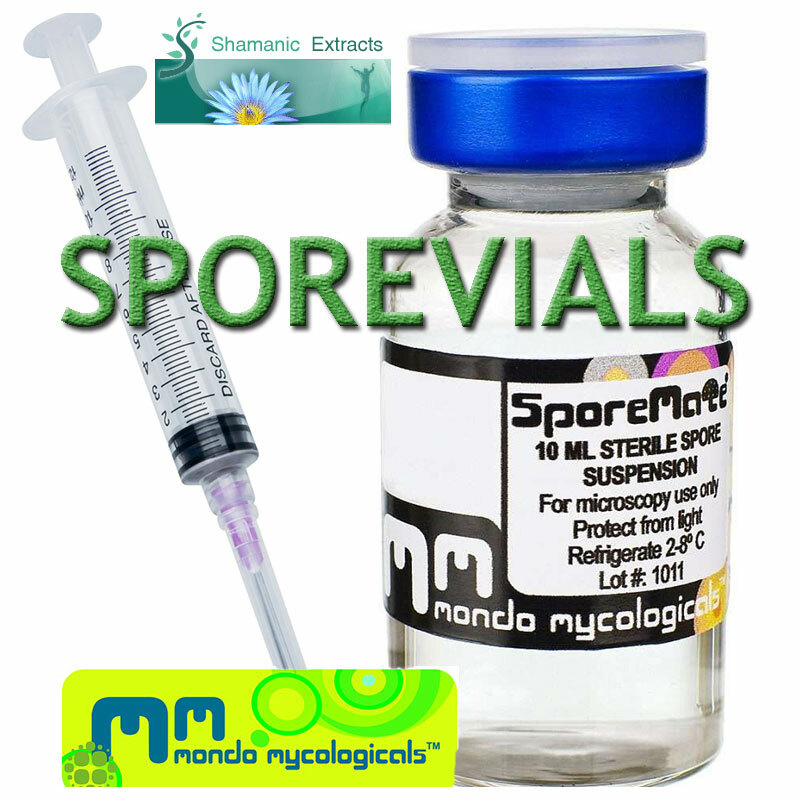 *** A Sporemate® Spore Suspension Vial makes it possible to inject 5 Liquid Culture Vials (1 incl. with every kit) and with each Liquid Culture Vial you can at least inject 3 growkits. Share your experience about Costa Rica Spore Vial with other customers. Submit your tips or thought on this product, be detailed and specific.